As if getting people to binge watch shows on its platform wasn’t enough, Netflix now wants to reward kids for watching shows and movies. Yes, Netflix is now testing a gamified streaming experience for kids with select users. In case you’re wondering, the feature will let kids collect “Patches” for watching shows. Patches are nothing but collectible items, and the eligible shows (shows that can earn you patches) are being marked with red locks for users who are part of the test. In case you’re wondering, the Patches don’t actually get you anything. For Netflix, it’s more like an activity to promote conversation and increase interactions and engagement amount the audience. That being said, there’s a growing concern about how this move will affect the target audience i.e kids and children. Watching too much TV is just as bad as unmoderated video games or social media, so the same stands true for Netflix. And incentivizing binge-watching is simply thumbing the nose at the critics. 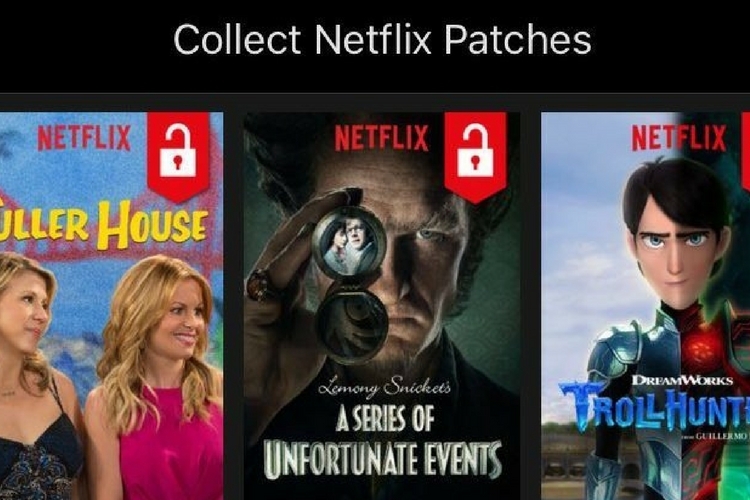 Some users are already raging about this move on Twitter.
.@netflix has patches /badges now? What’s the deal with this?? As if getting my son to stop watching Netflix wasn’t hard enough. Now I have to deal with him wanting to binge endless hours of shows just to earn a silly patch? Not good. My opinion I know, but still I don’t like it! Last month, Facebook also attracted a lot of unwanted attention over its Messenger Kids. However, the company’s vice-president of Messaging Products David Marcus slammed all the criticism and called it a “good product.“ There’s already pressure on Apple from at least two shareholders to do something to curb the harmful effects of prolonged smartphone use in children. Even Motorola recently released a study on the very subject, focusing on a phone-life balance scale. So the concern of getting kids hooked on to platforms is very much real, which should give Netflix some pause before it rolls out such ‘Patches’ worldwide. On a lighter note, if Netflix can just start paying adults in cryptocurrency to binge-watch its shows, that would be great.